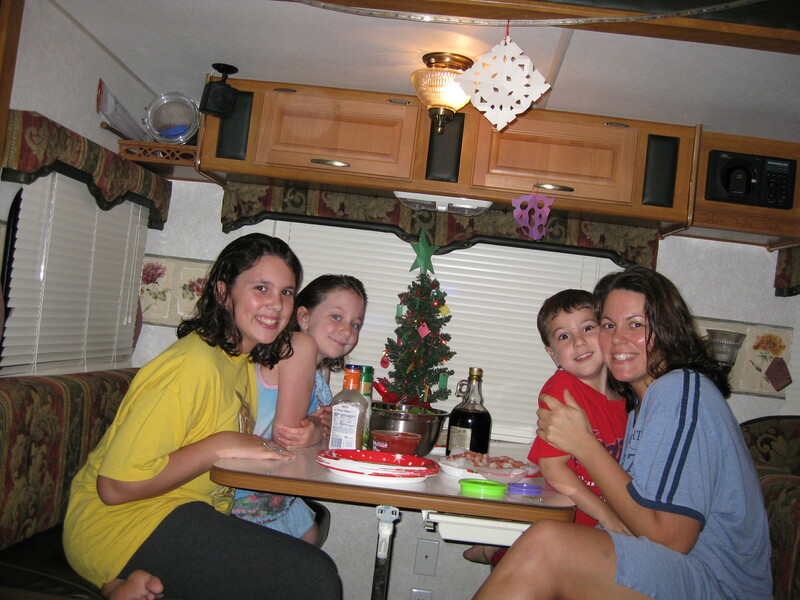 First Christmas in the camper! Wow. That’s such an all encompassing word. It has so many different meanings. Polysemous (i think). anyway, in my context you could say “wow” is being said in a laid back, belly full, content sort of way. we had a wonderful Christmas Day! we baked some amazing goodies on thursday (which we shared at our potluck and made a great impression!). the kids had fun baking and i was happy with how the oven works in the camper. i did however have to go fill up the propane tank 🙂 anyway, we made soft sugar cookies, chocolate crinkles, mexican wedding cake balls, and cake pops!! 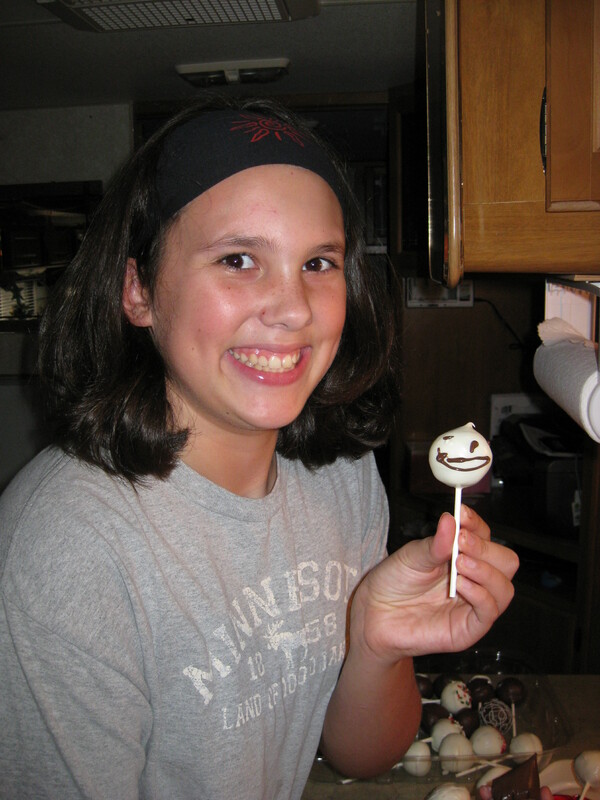 Gracie with our first attempt at cakepops! 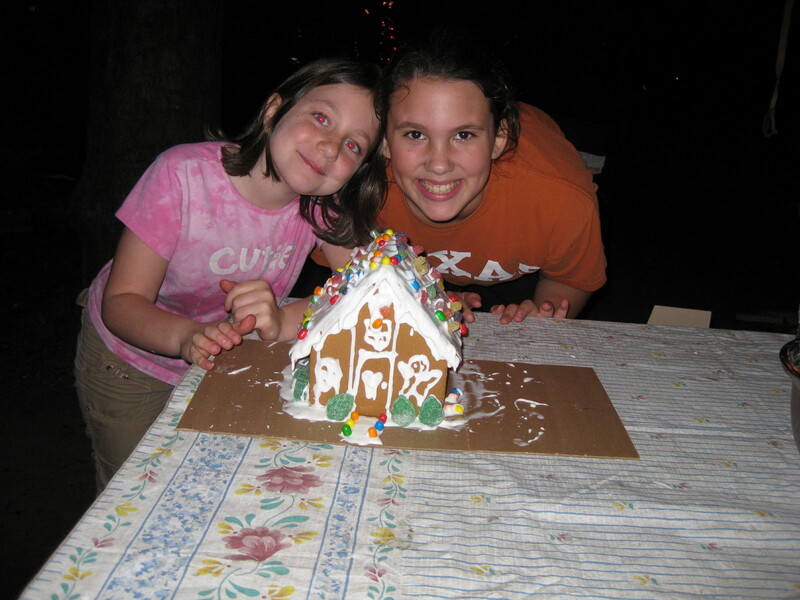 the girls made a ginger bread house…. girls and the gingerbread house! and we had an awesome shrimp Christmas Eve dinner! The internet is slow today. I think because it’s raining and people are all inside on the computer!! I’ll try to get the pics of Christmas day uploaded later on. I think we are going to head to the store and get some groceries for the week. We have plans and people coming and are very very excited! Previous PostA little note about laundryNext PostGreat end to a great day!